Appearance: This hardy bamboo has a scarred surface, pronounced nodes, typical bamboo tan color, and little taper but slightly more than Guadua or Solid bamboo. It pairs well with Solid Bamboo when thinner diameters are needed. 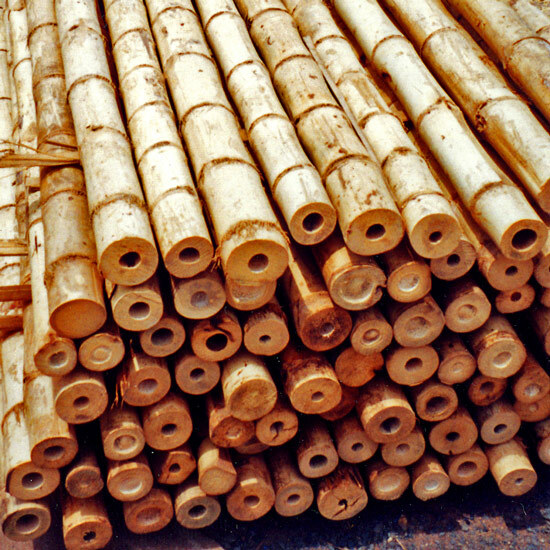 Durability: Overall the most structurally sound of Safari’s Bamboo (followed closely by Guadua). As such, it is often used structurally.